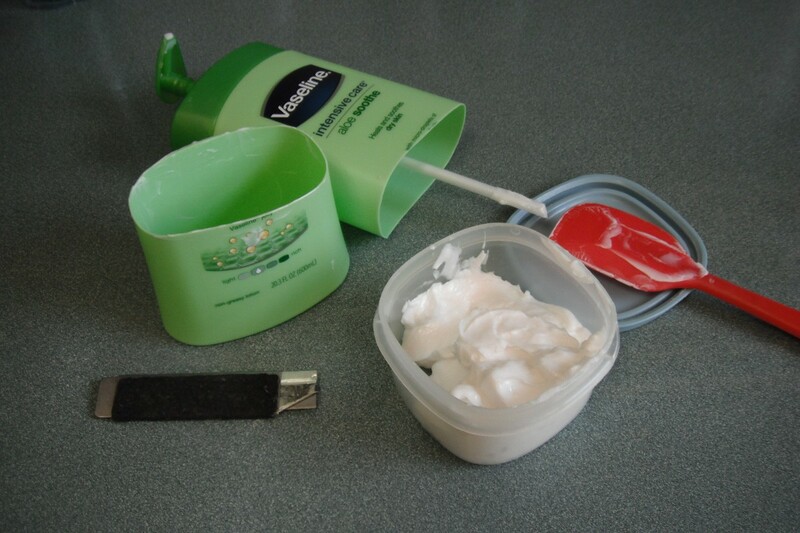 When you get down to that last spurt of lotion that pumps out, don't throw the container away. There is still a lot of good lotion left in the container. Using a case cutter, cut the bottom off and scoop the lotion out into a small container. Continue to use until it is all gone. This really is the best method, though I tried the suggested solution of warming the bottle in hot water as I thought it would be an easier fix. In the end, though, the super thrifty in me end up getting out the box cutter and scraping out the bottles. Now I know I got my money's worth, down to the last penny. to the pump tube. It's tapered and will fit.